We offer professional, full service web design in Chesapeake, Virginia and beyond. Customer satisfaction and long lasting relationships are our top priorities. We will work closely with you every step of the way from the planning phase to the launch of your website and beyond. Search engine optimization is a process to help generate more traffic and potential customers to your website and continues for the life of your website to achieve continuous high rankings in search engine results for selected keywords and key phrases. There are many pieces to the puzzle of online marketing. This includes search engine optimization, social media marketing, blogging, local listings, and email marketing. Creative thinking is key when it comes to new and innovative ways of marketing in today's digital world where you only have seconds to grab someone's attention. 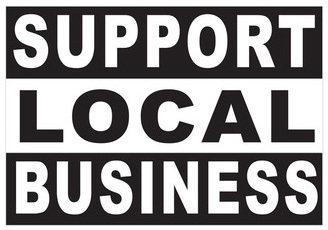 Make sure you are being found locally and your customers have somewhere to leave you reviews. We will help build your online presence by adding your business on all of the major local listing and review websites such as Google Places for Business, Yelp, YellowPages, Merchant Circle and more.